Appropriately, with the coming of All Hallows Eve tomorrow, we have now concluded our ‘Tarot Tuesday’ series, which attempted to link archaeological monuments to the cards of the Major Arcana. For ease of reference, the cards (and the sites we selected for them) are listed below, linking back to the original articles. 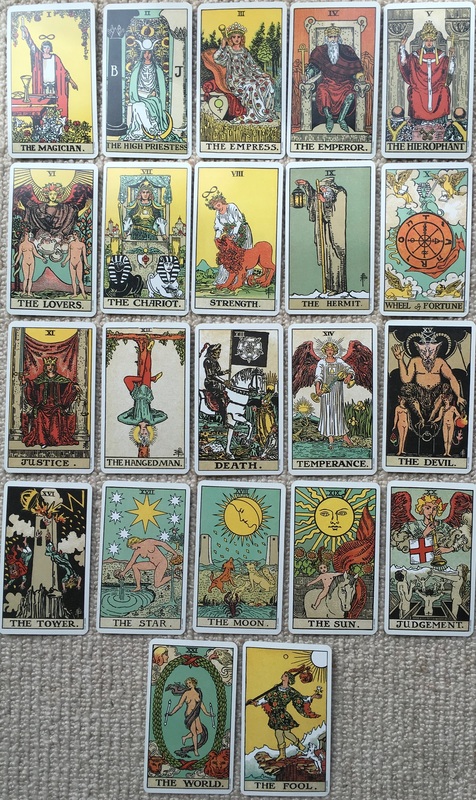 The card meanings which we based our site selections on were taken from the Trusted Tarot website. 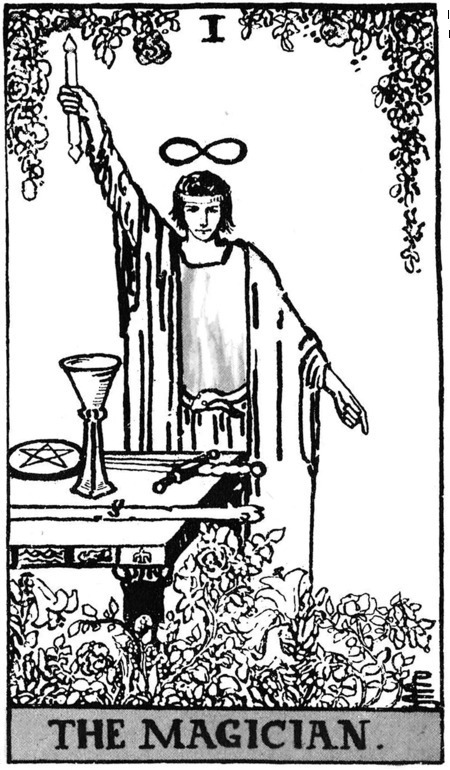 The card images were taken from the Original Rider Waite Tarot Deck, conceived by A E Waite and designed by Pamela Colman Smith. We hope you enjoyed the series as much as we did preparing it, but if you think our subjective choice of sites is incorrect for any card, please feel free to comment either here or against the original posts linked above. Dear UNESCO: isn’t the travellers’ view of Stonehenge part of the outstanding universal value of the WHS? We are a group of concerned people who run the The Heritage Journal on which short comments are published by contributors on issues of concern relating to archaeology and the historic environment. We believe it is wrong that the current plans for a tunnel at Stonehenge would result in the loss of the ancient view of the stones from the A303, described recently by Lord Adonis as “the most striking, historic vista on any road in Britain.” We submit that this view which has informed and inspired millions of travellers for many centuries comprises a form of visual access, often the only one that many individuals will ever experience, and as such is of incalculable cultural significance. Accordingly, may we propose that the importance of the view should be reflected in it being considered for inclusion in the list of intangible attributes of the outstanding universal value of the World Heritage Site and thereby given maximum protection? Alternatively, do you feel, as we do, that the view is already embraced by Attribute no.7 – “The influence of the remains of Neolithic and Bronze Age funerary and ceremonial monuments and their landscape settings on architects, artists, historians and others” – particularly as “others” comprise millions of passing travellers, each enjoying their own unique benefit. And so we reach the end. The final card in our Tarot draw is card I, the first of the Major Arcana, The Magician. The last site we shall be visiting in this series certainly has a magical look about it. The capstone at Pentre Ifan seems to hover inexplicably in the air, delicately balanced on the very tips of three of the six remaining upright stones. 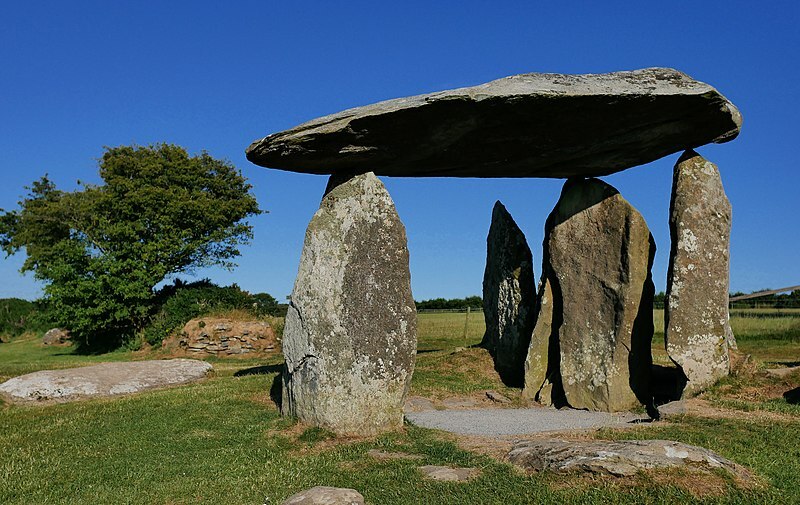 This famous Pembrokeshire dolmen is around 5500 years old and is thought to have been originally covered by an earthen mound. The 16-tonne capstone was skillfully created to have a completely flat bottom and was confidently raised 8 feet above the ground to rest on three uprights. Such a feat shows just how talented and proficient the megalithic builders were. The site was excavated by Grimes in 1936-7, who suggested that it’s design was influenced by prehistoric contacts with Ireland. More recent research suggests the tomb was built by local communities but may have been influenced by Irish culture and contact (important communications?) during a later stage of its use. I find it difficult to imagine such a creatively designed monument being hidden under a mound, and have to wonder where (and how) all the earth disappeared, leaving just the remaining seven stones. And so our journey through the Major Arcana cards of the Tarot deck is finally concluded. If you’ve enjoyed this series and agree (or disagree!) with any of our selections please let us know. Exactly! But how often does PAS say so to farmers and the public? Merely emphasising the positive was not the founders’ intention. 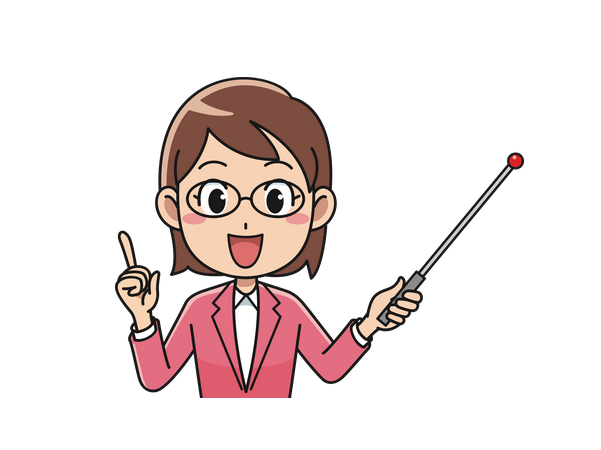 “Sharing knowledge” was a strategic objectives, not filtered, not minimised and preferably weekly. Actually, there’s no tension in truth. Rescue has said, and PAS hasn’t denied, the payback doesn’t justify the damage and PAS’s duty is to tell that to farmers and the public, preferably weekly. There’s ying and yang but they’re not equal. But non-reporting IS unethical so PAS should say so to farmers and the public, preferably weekly. Especially farmers who control detecting access and will take more heed than most detectorists. Also, to say “the law is unlikely to change“ is unwise. Public opinion sometimes changes and only one thing is certain: the law won’t change unless archaeologists including PAS stress that it should. Absolutely! A duty to inform farmers and the public, preferably weekly, isn’t a duty to partially inform. And why the need to be pragmatic anyway? Not to promote detecting, PAS has no mandate for that. Nor to avoid offending detectorists, “responsible” ones won’t be and the rest should be confronted. Exactly! When the general public and farmers understand, not when most detectorists do, 20 years have proved the latter will never happen. For 20 years PAS has said, as paraphrased by Paul Barford, that “we done good this year…..we’ve got this more or less under control, just keep giving us the cash” whereas only the true story, warts and all, presented to farmers and the public, preferably weekly, can ever work. The majority of detectorists have shown that’s true, beyond all hope of denial. “Give us time Nigel”, as Adam said to me nearly 20 years ago, has become give us a third decade. Let’s hope PAS itself and CBA and others join Rescue in saying it’s time to change gear. A message on Upton Upon Severn village Facebook: “EARN BETWEEN £200 AND £1000 CASH per day” by allowing metal detecting on your land. They’ll “record any treasure trove items to British museum” but crucially there’s no mention of the other 99.9% of recordable finds. So make no mistake: it’s an attempt to buy access that will result in extensive cultural knowledge theft. And it’s not just Upton. The company behind it, Let’s Go Digging, is massive and currently has 10 identical appeals to other communities on Facebook alone, including at Avebury (Heaven help us!). Let PAS take note: THAT’s how you do effective outreach to farmers. It’s called taking a professional, 21st Century approach to communicating and giving a strong, unmistakeable message. If only they hadn’t spent all those years ignoring our constant pleas for them to give their message in full page adverts in the press then they’d be winning the conservation war, not him. We look forward to them messaging those ten Facebook pages and a large number of others imminently. Upton Upon Severn, Middle England, site of the Battle of Upton, home to five famous music festivals, current Britain in Bloom National Gold Medallist and nominated by the Sunday Times as one of the best places in Britain to live. But as they have a shortage of sufficient residents willing to steal cultural knowledge from the surrounding fields one of them is going to import hundreds of people in cammo gear to do it. As autumn draws to a close, and winter moves in, so the archaeological world moves indoors and the lecture and conference season begins. One weekend at the start of next month looks to be quite busy and a popular date for one-day conferences. Saturday November 10th sees several lecture events around the country. Firstly, at St Fagan’s National Museum of History near Cardiff, there is an event; Archaeology in the Severn Estuary. Tickets and Agenda are available on the Eventbrite website. Across country in Surrey, the CBA South East are holding their AGM and Conference in Chertsey, with a range of talks themed around Structured Deposits. Much further north in Stirling is Scotland’s Community Heritage Conference, again bookable via EventBrite. Meanwhile, in Norwich the Prehistoric Society is co-hosting a lecture with the Norfolk and Norwich Archaeological Society; Living with Monuments: settlement, monumentality, and landscape in the Neolithic. And finally, in Devizes the Wiltshire Museum are presenting a lecture; the Scandinavian Flint Axe Type in Britain by Dr. Katharine Walker, discussing the connections between Scandinavia and the British Isles in the Neolithic period. I’ll be at the Truro event, which one are you going to? Embarassment time is here again for the National Trust! Hey National Trust, could that be a fox? How embarrassing if it was – when this year they aren’t allowing a vote to reverse last year’s PR blunder of continuing to allow trail hunting on their land. Plus, just this week the RSPCA has called for animal welfare to be taught in schools so when children like those in the picture are adult National Trust members they’ll vote against trail hunting in disgust in their thousands. Public sentiment is moving in one direction inexorably so why not announce at this year’s meeting that you got it completely wrong and you’re banning it? [And on that subject: is there anyone inside the National Trust who still believes the short tunnel at Stonehenge should be supported? We sincerely doubt it. What a strange, strained atmosphere it will be at the meeting on Saturday! Unless of course the Trust suddenly does the right thing on both fronts].